We never imagined a tank museum could be such a moving and fascinating day out. The Tank Museum, Bovington, Dorset bills itself as the home of the tank. We lost count of the number of tanks and other armoured vehicles at the museum. But this is no dry display of long silenced fighting vehicles. We were really impressed by the videos telling the story of the tank, and the audio interviews with tank men from the Great War to the current Afghanistan campaign. For me, the first world war displays were the highlight of the visit. I was amazed by the number of Great War tanks on display. We’ll be commemorating the centenary of the war to end all wars this August, and it’s poignant to think about the sacrifices of my grandparents’ generation in those desperate days. 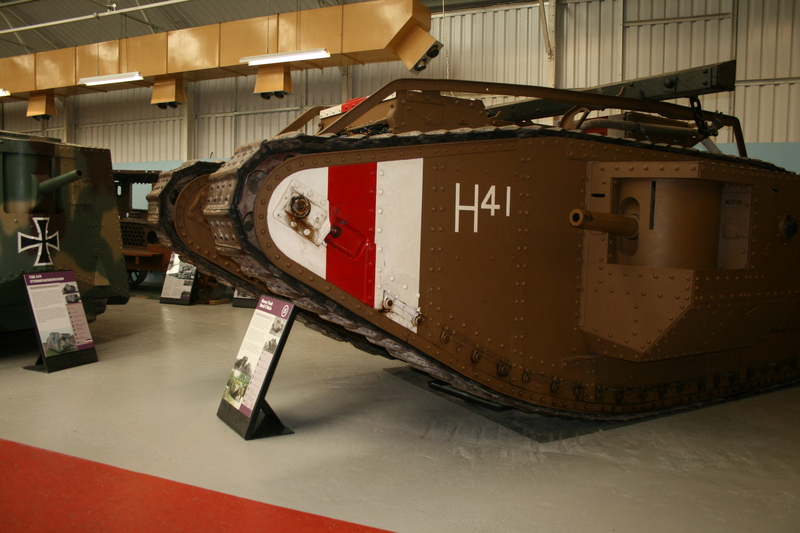 Britain invented the tank to try to break the deadly stalemate on the western front. At first, serving in a tank would have seen like a blessing compared with life as an infantry soldier in the trenches. But tank men soon realised this was no safe option. According to a Tank Museum podcast, second world war tank veteran Jack Baker felt far more comfortable armed with a rifle & shovel than being confined within a turret. It must have been similar to serving in a submarine, living and fighting in a cramped tin, knowing that you faced a grim death if your machine was hit. No wonder veterans refer to tanks ‘brewing up’ when struck by enemy fire. Long ago, I learned how Britain sent its men into battle in the second world war in desperately ill-equipped tanks. Tank crews in Normandy feared coming face to face with the deadly German panzers. They found their ammunition bounced harmlessly off the Nazi tanks. No wonder the breakout from the D Day beach head was so slow and costly. 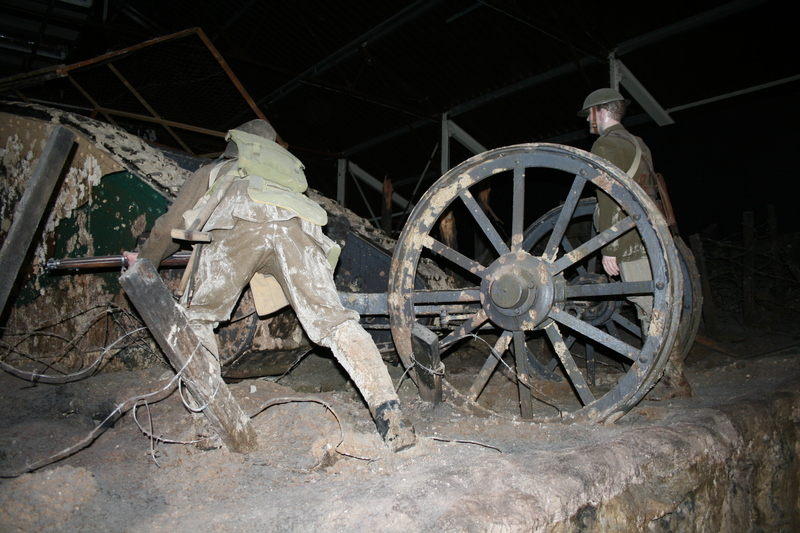 The final section of the Tank Museum is devoted to the current campaign in Afghanistan. This is surely one of the most unlikely story in the British army’s history. How could we ever have become entangled in a 21st century occupation of Afghanistan that lasted twice as long as the second world war? (Clue: political folly.) As ever, the British army has had to cope with the foolish decisions of our political leaders. 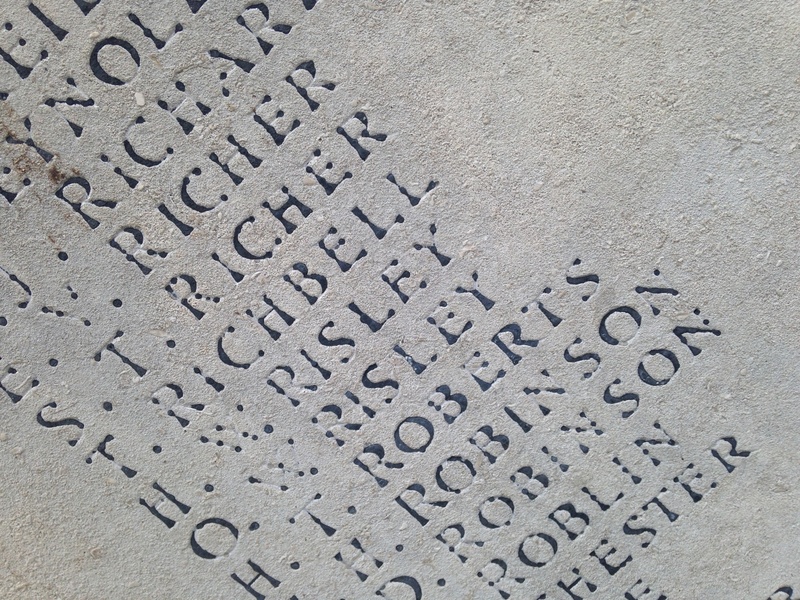 I close this post with a detail from the war memorial at Richmond, Surrey. I don’t know if any tank men are immortalised here. But it captures perfectly the determination of a grieving nation to remember the young men who went to war and never came back. Tragically, Britain and countless other countries went through similar horrors barely 20 years later. I am very lucky that my generation was spared the terror of total war. This entry was posted in History by Rob Skinner. Bookmark the permalink.